Have you kids ever wondered how we manage to brings so many videos for babies, and kindergarten songs to you everyday? Well, we have at our disposal, a super amazing loading truck. Hit play on this toy factory video, where in all the vehicles for children are made. Day in and out, this funky robotic vehicle factory is creating some vehicles for you toddlers. Dumpster trucks, Monster trucks, Police cars, Construction vehicles, Airport vehicles. You name it, and it's all made here in this kindergarten toy factory, that's world famous for making children's vehicles. 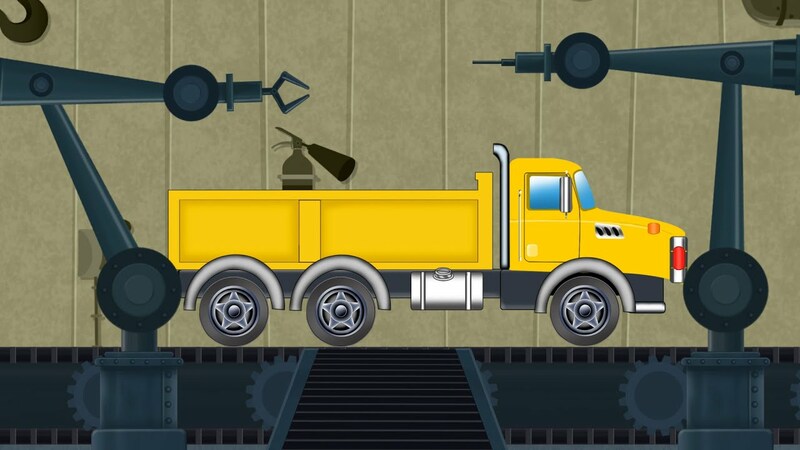 Watch today, as a loading truck is made, and it's uses explained. Then you kids will know better of how we work to bring you all the videos you wish to see on kids Channel. Have fun!